Two of Iron Bonehead’s best traits are its ability to sniff out talented bands from far flung corners of metal’s underground, in the process plucking first rate music from potential obscurity and bringing it to a wider audience. This is certainly the case for one recent release from their roster as the label has just brought us Demise Rites from Australian band, Eucharist, as a special vinyl 12” MLP. 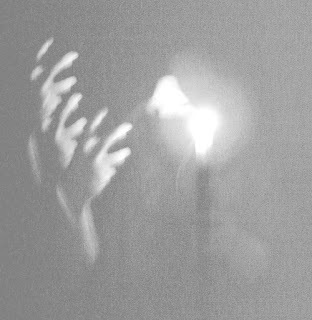 Formed in 2011 Eucharist released two demos during their formative year, Tenebrous Summoning and Demise Rites. Both demos were limited to fifty copies but unfortunately only half of them were ever circulated on dubbed cassettes featuring Xeroxed covers with Demise Rites also featuring hand numbered inlays. Total Holocaust Records then released all six tracks from both demos on a compilation cassette, also entitled Demise Rites in October 2012. This compilation was limited to 100 copies and helped introduce this malignant creation to the extreme underground. Unfortunately the label folded shortly after the compilations release, potentially condemning the music of Eucharist to obscurity in the process. Forever the source of obscure brilliance Iron Bonehead Productions has just released all six tracks on vinyl, with all being re-mastered for their special edition. Eucharist maintains a level of secrecy regarding membership etc., with very few details currently being available online; they play verminous, smothering death metal played with a level of atavism/primitivism that draws comparison with the likes of Archgoat or Demoncy. All tracks during the MLP were originally recorded on a broken analogue tape machine which makes this release all the more appealing as the production levels on Demise Rites are exactly what you’d want and expect from this type of music and sounds every bit as good as studio releases from similar bands. 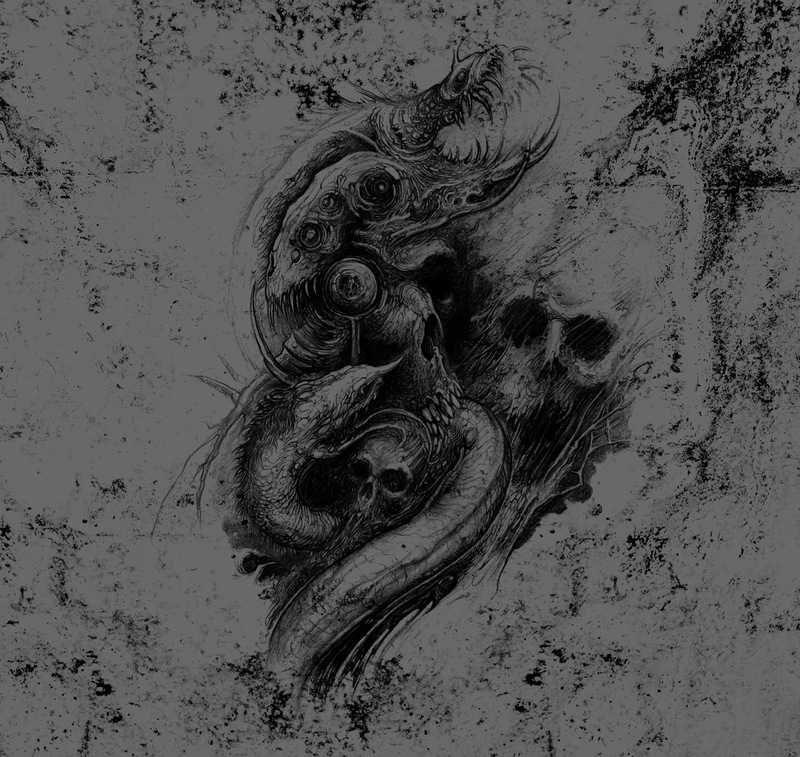 The suitably murky production lends itself well to the overall suffocating and oppressive nature of their music. The first demo, Tenebrous Suffering, is featured on Side A with four tracks that serve as suitable introduction to their infectious music. At the extreme end of death metal the music of Eucharist is intended to be an uncomfortable and punishing listen. The vocals are laced with effects to give them quite an intimidating rasp, at times similar to those of Portal or Vassafor, and when you combine this with those muddy production levels and guitars down tuned to death it makes for quite a potent listen. There’s no messing about with Eucharist’s music, no fancy intros, just harsh, hate fueled intense blackened death. The second Eucharist demo, Demise Rites, features on Side B with two tracks spanning close to fourteen minutes that again keep the hostility levels suitably terrifying with the main difference being the drumming is slightly more audible than on Side A. Overall the music is harsh and torturous, making for that uncomfortable and down-right hate filled listen those of us listening at the extreme end of the black/death spectrum crave. During both sides of the MLP you’re surrounded and smothered by a fog of malevolent, all-consuming, bestial, blackened death – this is a must for fans of the likes of Portal, Abyssal, Ævangelist et al. Also, there’s quite a lot of listening for an MLP with close to thirty minutes of Eucharist’s poisonous fog to get your ears round. I have no idea whatsoever what radar Iron Bonehead uses to detect such obscure quality but we have them to thank for bringing us the music of Eucharist which, I’m sure, had escaped the attention of a lot of us until now. My hope is this will see Eucharist write and release more music – if this was recorded on a broken analogue machine just imagine what they could achieve in a studio… Once again, Iron Bonehead Productions has brought us a true underground gem that's not to be missed. IV – Below the Earth. Demise Rites by Eucharist has just been released by Iron Bonehead Productions on 12" MLP.